Logitech has released UE Wooderboom, its latest portable Bluetooth speaker. Using its waterproof design, the portable speaker lets you take your favorite music wherever you go. The Wooderboom is a high-performance Bluetooth-enabled wireless speaker that measures 93.5mm in diameter and 102mm in height and weighs 425g. As shown in the images, the speaker shows off a stumpy, cylindrical form factor, and compact design and integrated hang loop let you easily take the speaker anywhere with you. Meanwhile, six gorgeous color options allow it to match different style tastes and your passion for music. Its IP67 waterproof casing enables it to withstand immersion in water up to 1m for up to 30 minutes. The Bluetooth speaker comes equipped with two 40mm active drivers and two 46.1mm x 65.2mm passive radiators in order to produce high-quality 360-degree wireless audio with balanced bass. 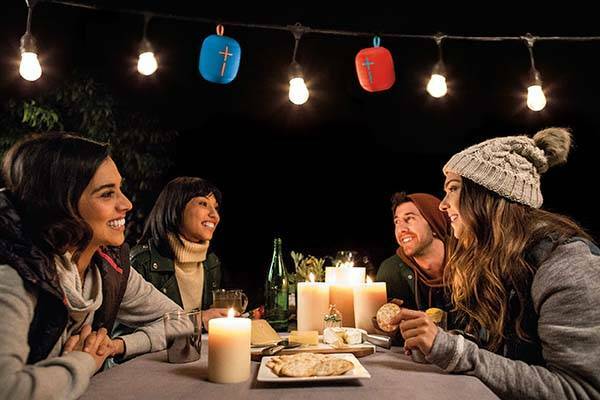 Moreover, you can also wirelessly connect two Wonderboom units with one source for more vivid stereo audio. In addition, built-in rechargeable battery offers up to 10 hours of audio playback on a 2.8-hour full single charge. 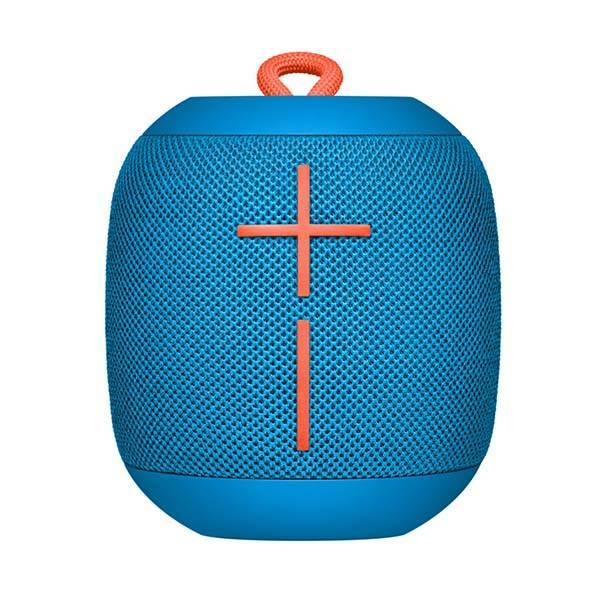 The UE Wonderboom portable waterproof Bluetooth speaker is priced at $99.99 USD. If you’re interested, jump to Ultimate Ears official site for its more details. BTW, don’t miss the Radio portable Bluetooth speaker and more cool related gadgets by following tags.